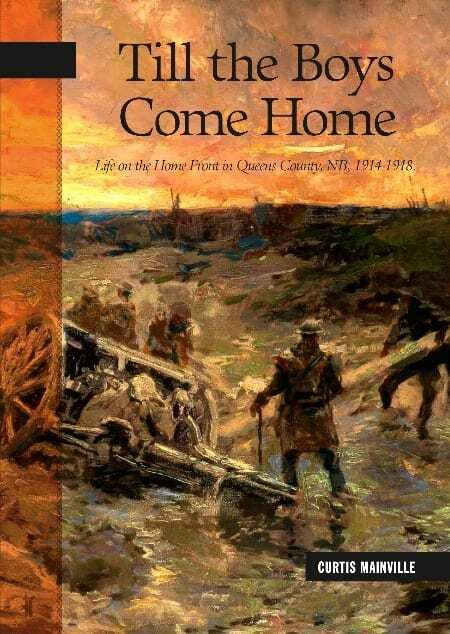 Till the Boys Come Home (2015 Goose Lane Editions) by Curtis Mainville, a 22-year veteran of the Canadian Armed Forces, focuses on the good men (and women) of Queens County, New Brunswick who either volunteered, were conscripted or stayed home to support the war effort by working on the family farm or in the mines. This 170-page book is also volume 22 of the New Brunswick Military Heritage Series and is produced by Goose Lane Editions along with The New Brunswick Military Heritage Project. The book is subtitled “Life on the Home front, Queens County, NB, 1914-1918” and as such, focuses on what was going on in the county during the war rather than what was going on in Europe, although there are quotes from soldiers of the Canadian Expeditionary Force (CEF) from various places they were stationed, either at the front or in England. A very readable account, it is also interesting to see how much support the folks in Queens County gave to the war, especially women. As Mr. Mainville observes: “To say that the war empowered women is an understatement. Women made sure their voices were heard- both at home and in the back roads of New Brunswick’s rural communities. Women carried the burden of implementing austerity measures when the call was made to conserve even more.” Sock knitting (which every soldier deeply appreciated as warm, dry socks were more valuable than money or tobacco) was a way of supporting ‘the Boys’ and bringing women in the communities closer together as knitting was more of a social function than it is now. In its first year, the Red Cross of the village of Gagetown produced 227 pairs! Also examined in the book is the controversy over the fact that serving at home by farming or working otherwise was not as important as volunteering and fighting the Germans. Many young men, particularly Canadian-born ones, were content to stay and provide the boys overseas with food and raw materials to fight with, since picking up a shovel was viewed by them as just as important as picking up a rifle. It was not due to a lack of patriotism that they did not enlist; they were convinced that their duty began at home. According to records, it was young immigrant men who willingly volunteered, particularly those who came from England to settle in Queens County who saw it as their immediate duty to drop what they were doing and go overseas to assist their countrymen. Also included in the book are two appendices, one is a roll of honour of the Queens County residents who died in the war, the other a list of decorated men and women from the county. There is also a selected bibliography and an index, all of which make this book an indispensable reference work for the New Brunswick/ WWI historian or researcher. Capt. (Ret.) Curtis Mainville, a 22-year veteran of the Canadian Forces, graduated from the University of New Brunswick with a Master of Arts (History) degree in 2012. 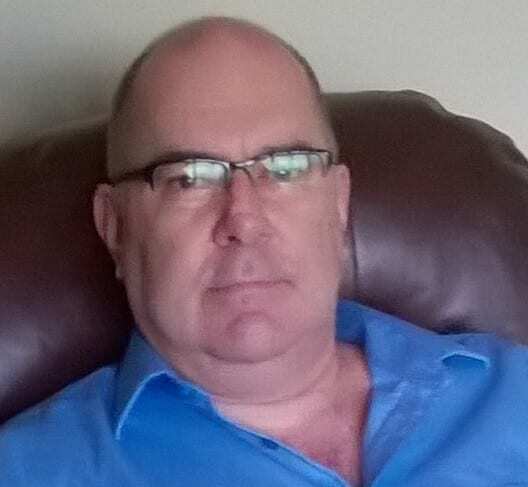 He is the author of several scholarly articles on the subject of New Brunswick’s social and military history and is presently engaged in the compilation of newspaper articles relating to the Great War and the 26,000 men and women of the province who served in uniform. This is a syndicated post. You can view the original post here: Book Review: “Till the Boys Come Home” by Curtis Mainville. Juanita Douthwright liked this on Facebook. Wayne McCutcheon liked this on Facebook. Patrick Olsen liked this on Facebook.